After a morning of blazing sunshine, around 1:30pm a shadow descended across my office. It was eerie; it came on so suddenly that everyone immediately stopped working and looked out the window. It was so dark that the automatic streetlamps had turned on. A crash of thunder shattered the stunned silence; so loud it sounded like an explosion directly above the hospital. No rain, just thunder and darkness. Furthermore, it's coming right on the UK bank holiday! So, I'll have 3 days to play pretty much solidly! An excellently timed release ArenaNet, you da best. There are certain dialects which are vastly overrepresented in fantasy RPGs. For the most part you’re looking to rural or upper-class English, Scottish (mainly a Glaswegian growl – think Billy Connolly in Brave) or generic Scandinavian (the population of Skyrim appears to hail from a conglomeration of Finland, Sweden, Netherlands, Norway, Denmark and very occasionally Scotland and Ireland). This has likely come about due to the typical dungeons and dragons, sword-n-board RPG setting taking significant influences from Medieval Britain (thanks J.R.R). Unfortunately, the romanticised reproduction of this era seems to glaze over the always charming Geordie, Brummie and Scouse Accents – hailing from Newcastle, Birmingham and Liverpool respectively. When have you ever heard an Orc remark: “Why-aye pet, I’ll just git me bastid sword an we’ll be oota here!”? Never, that’s when (with the exception of the Fable series). [GW2] Philosophy and Religion in the New Tyria - Part 2! This is a continuation of my previous post which covered “The Changing Relationship with the Gods” and focused on the human and charr’s changing relationship with their deities. This time I want to look at the new philosophy of the sylvari, and the old of the asura and norn. The asuran Eternal Alchemy is very much a Gaia-esque philosophy. They believe in the interconnectedness of every facet of life – from the trees, plants and animals, to the sentient races, the land itself and even destructive forces such as the Elder Dragons. Each element pushes and pulls against every other; like a great web – the vibration of one thread shakes the entire web. Each of these elements is a variable in a vast equation, the result of which is the world and everything in it. 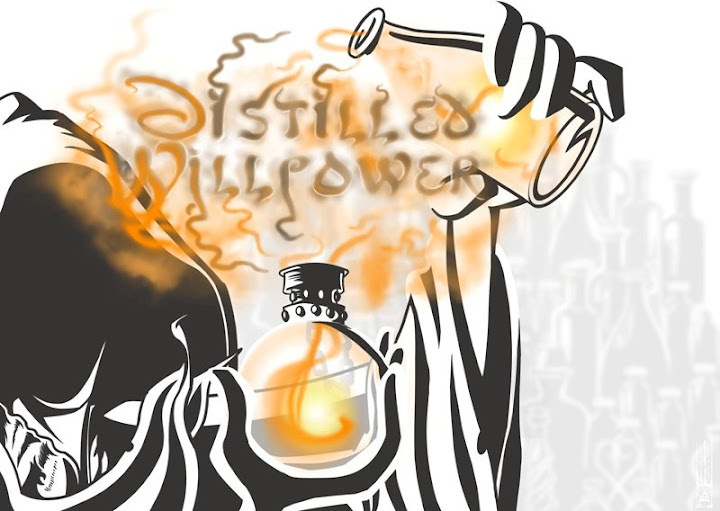 As a result the Eternal Alchemy can’t help but have been rocked by the introduction of the Dragon threat. I mentioned in my asura week review that the ultimate aim of any asuran scholar is to work out the definitive formula of life. The Elder Dragons are a volatile and unpredictable variable and as a result the formula must be shifting dramatically day-by-day. It is often in times of urgency and distress that great truths are revealed: status quo is dull, it's easy to overlook interesting elements when they are the same everyday – change is revealing, change brings important variables to the forefront, perhaps this is the time for the asuran race to finally balance the eternal equation? The norn-revered Spirits of the Wild are the only deities to actually directly combat the Elder Dragons face-on (as far as we are aware). When he first rose, a number of the lesser spirits (Dolyak, Owl, Wolverine and Eagle) fought with Jormag in the Far Shiverpeaks, while the more highly regarded spirits (Bear, Wolf, Raven and Snow Leopard) led the norn south to safer ground. As a result of this battle, the norn have lost contact with all of the lesser spirits who met Jormag in battle – with Owl being confirmed dead, and the others missing. With guidance from the surviving Spirits, the norn have settled in the North Shiverpeaks. Just as they did in their native lands further north, the norn revere the Spirits of the Wild – as they embody all the most important characteristics of their natural counterparts (Bear – strength, Wolf – loyalty, Raven – cunning, Snow Leopard – independence), and the norn seek to instil these characteristics within themselves through their guidance. If the norn have lost contact with certain lesser Spirits which embody important characteristics it remains to be seen whether they can learn these important lessons without the help of the equivalent Spirit. The final race to cover is the sylvari. At only 25 years of age, even the oldest sylvari has a relatively limited knowledge of the natural and supernatural world. 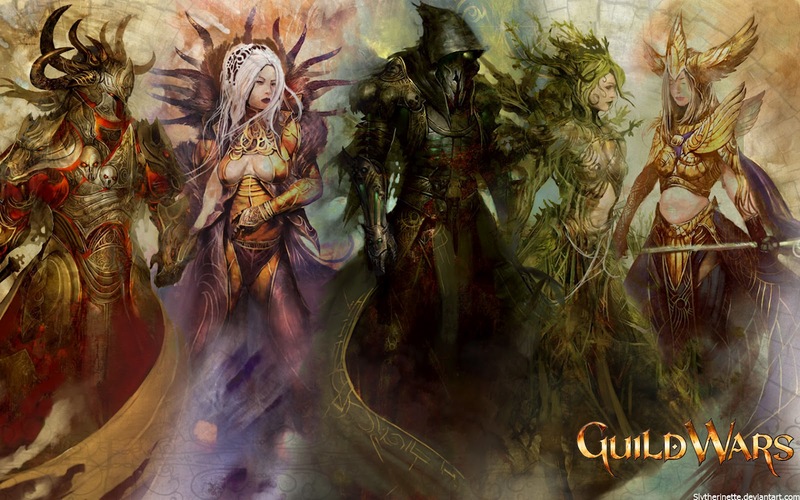 Each sylvari is borne into Tyria with a working knowledge of the world bestowed upon them during their dreams in the Pale Tree; this dream must include at least vague knowledge of the Six Gods, the Titans, Destroyers and Mursaat, The Eternal Alchemy and the Spirits of the Wild. Once born, many sylvari go out into the world with a voracious hunger to learn and experience as much as possible. The sylvari’s ontological perspective is somewhat difficult to pin down, it is obviously heavily influenced by their connection to the Pale Tree – and so is similar to the Eternal Alchemy in that respect – but they certainly don’t worship the tree as a god as the humans do with The Six. They look to the Tree for guidance through the collective Dream, just as the humans and norn do with their deities, but they do not allow these Dreams (and more specifically, the Nightmares) to dictate their life, as the charr allowed themselves to be manipulated by the malevolent forces which they believed to be gods. They have picked and chosen elements from a number of theisms to inform their perspective – and have resulted in a ontology which is close to Buddhism, rather than any in-game religion. There is, however, another way to look at the sylvari. Rather than a race created to worship a deity, they could be the result of the actions of one (or a number of them). I’ve barked up this tree before (and my assertion that the Nightmares could be as a result of the Pale Tree feeling the affect of the Dragonbrand on Tyria was kinda shot down when this post stated that the sylvari aren’t affected by Dragon corruption), but I still firmly believe that the emergence of the sylvari around the same time as the rise of the Elder Dragons could not be coincidence. The sylvari could be the attempt by the Eternal Alchemy to bring balance to the equation; a gift from the Gods to help to combat the threat of the Dragons. The history of religion is unavoidably a history of conflict; when sincerely held beliefs necessarily rub against each other, sparks are sure to fly. Tyria is no different in this regard; the events of Prophecies and Nightfall being particularly focused on our relationships with gods and those who serve them. With the introduction of new races and new religions, the new Tyria is a landscape where old and new philosophies will collide. The races which have felt the greatest changes in their relationship with their Gods are undoubtedly the humans and the charr. Both relationships seem to have gone somewhat downhill – the humans noticing a marked absence of the gods since the events of Nightfall; and the charr renouncing all faith in deities altogether; after having been burned (sometimes literally) one too many times by Titans, Mursaat and most recently the Destroyers. For the human race, this drift away from reliance on the Six Gods for aid has forced them to look elsewhere for support and solace. The disparate peoples of Kryta, Cantha, Elona and Ascalon have had to put aside their differences in order to survive. The absence of their gods has bonded the human race, rather than dividing it like the zealotry of the White Mantle or Varesh Ossa. You only have to look to the destruction wreaked by Abaddon and his Margonites to see how disruptive it can be when the affairs of Gods and men rub against each other. It could be that the Gods have intentionally stepped back from interfering in mortal matters to allow the human race to flourish and grow in these difficult times. Where the absence of divine guidance has had a galvanising effect on the human race, it seems to have caused more disruption to the charr. The charr are a warrior-race, divided into warbands and trained for war almost from birth; their entire lives appear to be dictated by the movement of their enemy. When they were at war with the humans (under the banner of their Titan or Destroyer Gods), their race was able to band together against a common enemy. Since their rejection of any and all gods at the end of Eye of the North, their eye has now turned to an internal threat. Now the atheistic bulk of the charr force has turned against the Flame Legion, the only remaining charr to still follow a deity: a charr named Gaheron Balefire, whom they revere as a god. Their choice to abandon the Gods has driven a rift between the charr populace and the shaman caste who became the Flame Legion. 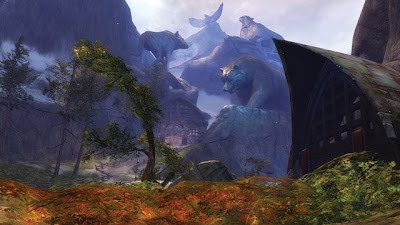 It is interesting to note, however, that while the charr seem to have no interest in reconnecting with their gods, the humans still seem to crave guidance from higher powers – and have placed their whole society very much within Divinity’s Reach. Whether the absence of a divine presence has had a positive or negative effect on these two peoples will undoubtedly be a storyline explored in the game at large. Similarly, it may come to pass that the problems thrown up by the tumultuous shift from theism to atheism pale in comparison to the very real threat displayed by the Elder Dragons. Ps. I want to cover the new philosophies of the sylvari as well as how the old thinking of the Eternal Alchemy of the asura and the norn Spirits of the Wild will fit into the new world, but I might save that for another time. ‘tis getting a little long! So jaded are the denizens of EA’s FIFA12 community, that any new release of content from EA is perceived as an evil plot to winkle a few more coins out of our purses and into their ever-bulging coffers. In FIFA 12 there is a mode called “Ultimate Team”. This mode allows you to build a team of your own liking, and then play with them against friends and other gamers. You build the teams by buying “player cards”, which you then arrange in a formation (with players in the same league, team or of the same nationality gaining “chemistry” with surrounding players with matching characteristics, further boosting performance). Anyway, each week EA release a “Team of the Week”. 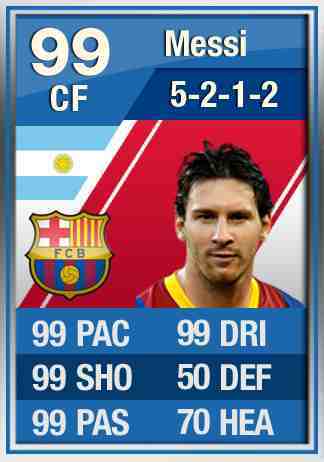 For that week, certain players cards are replaced by “In form” versions – boasting improved stats and performance. These cards often go for drastically inflated prices on the market due to their limited availability due to the time frame during which they are available and their general rarity. Gamers can trade their player cards for coins in the market. New player cards are brought into the market through players buying “packs”. These are sets of cards which give you a number of random player cards, along with consumables such as new kits, badges, stadia and other stat boosting items for fitness or morale. You can buy these packs for either in game coins, or real money (PS3)/Microsoft points (xBox). Cumulatively, gamers will sink thousands into buying packs to try to land one of these beauties. The EA board of directors will be getting a fat bonus this weekend.